Do: Pack heavier items low and as close as practical to the bike’s center of gravity. Don’t: Pack a lot of weight high and behind the rear axle. 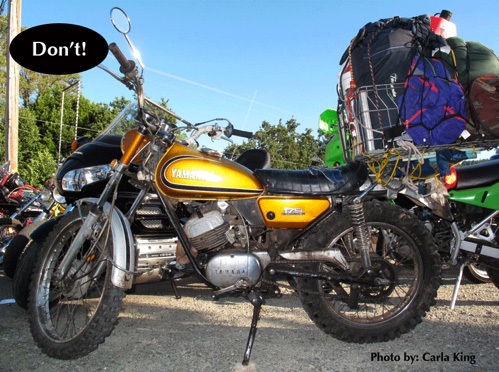 Do: Load saddlebags and soft luggage with equal weight on each side. Don’t: Load more weight on one side of the bike than the other. Do: Secure everything tightly to prevent them from becoming entangled in the chain or wheels. Don’t: Have any loose items flopping around in the breeze. Do: Pack only what you definitely will need. A lighter and less bulky load is far better! Don’t: Pack everything you might need on the trip. Do: Place lighter items in a tankbag and/or in a topcase. Don’t: Place loads on your front fender or forks, which adversely affects handling. Do: Use nylon tie-down straps that can be locked in place and won’t stretch. Don’t: Use bungee cords to secure exposed items. Do: Weigh items, including the riders, riding gear and luggage to make sure that Gross Vehicle Weight Rating (GVWR) isn’t exceeded. Don’t: Exceed the GVWR found in the owner’s manual. Do: Pack smaller items that require quick access (e.g., credit cards, drivers license, maps, etc) in easy to reach locations, like a tankbag. Don’t: Store things you might need during the day at the bottom of saddlebags. Do: Pack well ahead of your departure date, and do a test ride to make sure that all items are secured and the bike handles properly. Don’t: Leave on your trip immediately after the bike is loaded. Do: Check you load at every stop to make sure all items are still secured. Don’t: Pack it and forget it. 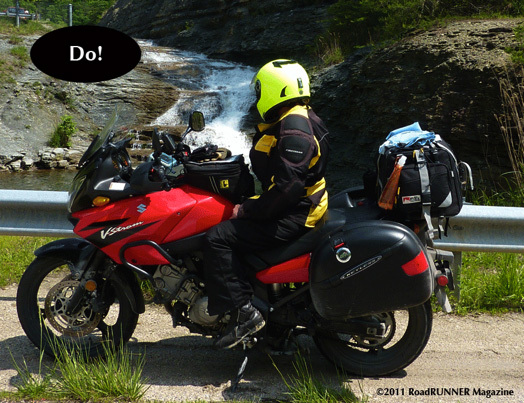 Time invested in organizing your gear and packing your motorcycle properly will pay big dividends once you’re out on the road. Thanks for the tips. 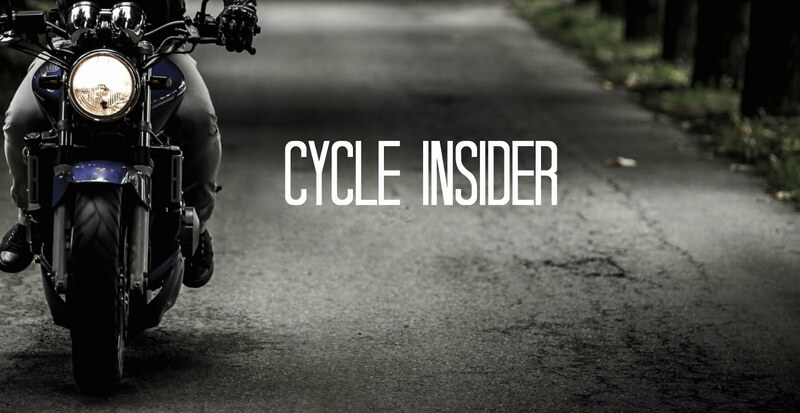 These things will come in handy in providing comfort for the biker. It should be carefully considered to prevent risks of bike accidents. Great post. I really find it to be so useful. Riding with those packs can be so difficult because of the added weight. It is important to have knowledge on how to handle these things to prevent accidents. Proper packing of tour will really help you to avoid any mishap that may cause due to your negligence while packing. So you must follow the check list before going for a tour. I think packing in bike is not so easy for everyone but here in this post I have learned some special tips to do packing. It is very helpful post for the motorcycling trips. But this tips may be applicable for the mountain or hybrid bikes I think. I truly had an incredible time halting by your site, it gives me a considerable measure of data. You can likewise visit my site, much obliged! Nice touring tips with a bike. Packing a bike is not easy, also a bike is very heavier. To make a motorcycle safe and secure I think these tips are highly effective.